The Junior Players Golf Academy's mission is to help prepare junior golfers to compete in National level tournament play and receive a college scholarship. The core competency of the JPGA is to recognize and respect each student's individuality. The JPGA approach is to get the student to commit to long-term athletic development, incorporating all aspects of training into a successful path to becoming the best athlete possible. This is all possible through the talented and personable staff and most importantly the limited student to teacher ratio that we take very seriously. Our campuses provide first-class golf instruction using state-of-the-art training tools, professional grade fitness equipment, top rated college preparatory academies, and deluxe accommodations with a southern charm. Both locations are just within walking distance of many activites including; the beach, soccer, baseball fields, biking, fishing, boating, local shops and restaurants, and more. 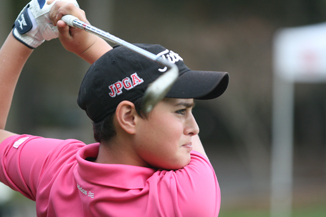 Through a supportive and competitive environment, the JPGA develops the qualities of commitment, goal setting and confidence for each student's personal, academic, and athletic growth. The dedication of the instructors to teaching and coaching, on and off the course, helps juniors become champions. The JPGA program includes mental conditioning and physical training as they are important to building golf athletes who can play more competitively. The goal is to offer juniors the opportunity to develop into accomplished athletes, successful at the collegiate level and beyond. Another integral part of the program is on-course instruction. The Instructor reinforces swing thoughts and provides in-depth course management. The JPGA educates the student on the importance of the 'Rules of Golf'. Taking the students on the course covers the more specific techniques that are used in course management and facilitates what is learned during practice to benefit performance. To produce champion golfers they must be capable of managing themselves on and off the course. The JPGA does not teach a strict swing method. Many teachers and golf schools attempt to teach every student the same swing with the promise that if they can master the method or fit a certain model swing, there will be perfection at the end of the road. This cookie cutter approach to playing and learning is usually not very productive, especially for a young player who has already established his own personal style. The fact is there is no perfect swing that fits everybody. Proof of this can be seen as close as the television. There are many different swings being used successfully on the professional tours, but no matter their personal styles, they all share some common traits. These common denominators that all great players share are the true fundamentals of golf. The JPGA approach is to teach students individually based upon their specific needs. There is a margin left for individual styles and preferences, as long as the laws of ball flight are being observed. The coaching staff is trained to identify each student's individual needs in order to implement a plan for self-development. Having knowledge of the swing is a very important asset for an accomplished player to have. One of our goals is to teach the student to be their own best coach, be able to identify and diagnose their own game and understand what their personal strengths and weaknesses are. Golf is a game where one never stops learning. The JPGA will increase your knowledge level on the full swing, short game, mental management, and of course the most important aspect of all, learning how to score. Our coaches are enthusiastic and the program is designed to be fun, engaging, full of interaction, personalized, and most importantly, result in positive changes in your game. Titleist is the preferred partner for JPGA golf equipment and accessories. A valuable resource for junior golfers and everyone interested in junior golf. Global Golf Post is the first designed-for-digital weekly golf news publication in the world. China Junior Golf, a golf academy in China who holds regular tournamnets for students of all ages. 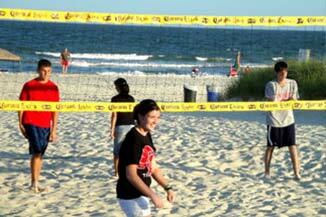 Online resource for summer camps in the United States and Canada helping parents find camps for their child. Chris Tremblay is a member of the PGA's Quarter Century Club and is originally from Pittsfield, Massachusetts. Chris is a graduate of the University of Maryland with a degree in kinesiology. Chris also holds the rare distinction of being a Certified Level 3 TPI (Titleist Performance Institute) Instructor in two categories: Junior Coach and Golf Instructor. While at Maryland, Chris was captain of the golf team that was coached by PGA tour member Fred Funk. Chris was the 2004 Northeast New York section PGA Teacher of the Year, a top 50 instructor in North America as listed by the Golf Range Association of America, and a top Teacher-in-State as listed by Golf Digest and Golf Magazine. He is also the co-host of "Golf Center", the weekly golf show on WHHI-TV on Hilton Head Island. As a player, Chris is a two time qualifier for the PGA National Professional Championship as well as the qualifying medalist for both the 1982 US Amateur and the 1995 Canon Greater Hartford Open on the PGA Tour. Clive McCann follows in the footsteps of his mother Rina Ritson and step-father Phil Ritson, both lifetime legendary golf instructors; Clive McCann has a rich family tradition in golf. So it's no surprise the South African has followed in these familial footsteps. After Phil and Rina Ritson moved to Orlando in the late '70s, Clive joined his family and often assisted in giving lessons and clinics at his parents' respective schools. For example, from 1985-90, McCann was one of the original instructors at the Rina Ritson Golf School at highly acclaimed Falcon's Fire Golf Club near Disney World. Clive began his professional playing career in 1985 by playing in the high-profile Florida Space Coast, TC Jordan, Tear Drop and Tommy Armour Tours. After a year on the junior circuit, Clive joined golf's big leagues in '89, playing the European PGA Tour, South African PGA Tour and South American PGA Tour. Clive realized his passion and true calling was in teaching. Then Clive worked with Phil Ritson's well-known Golf Your Way Schools in Orlando, earning Master Instructor status for the Phil Ritson Golf Institute in 2009. During his tenure with Phil Ritson, Clive also directed the international expansion of Ritson's company for Samsung in South Korea and was the director of the opening for the Japan Tour Players Academy in Tokyo. 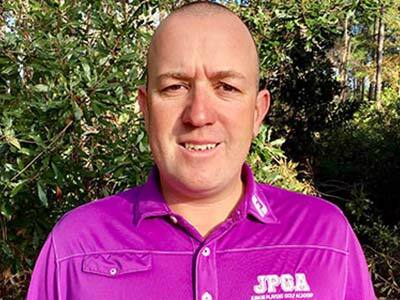 Clive joined the Gary Gilchrist Golf Academy as the elite team coach in 2009 to March 2011, thereafter joining Heidi Han as Director/Head Coach for PGSA in Korea and the USA until March 2013. 2013 to date, Clive is a Coach for Junior Players Golf Academy in Hilton Head, SC. Clive has also assisted numerous tour players on the USPGA, LPGA, KPGA, KLPGA, EPGA, JPGA and SAPGA tours. Adam Rushin, a native of Portsmouth, England, has played all levels of competitive golf. This includes a decade of professional golf playing on the PGA Tour, Nationwide Tour, and many other professional tours. Adam won over twenty professional events during that time. His lowest round as an amateur was 59 at age 17, shooting a nine-hole total of 9 under par 27; as a professional, Adam's low is 61. 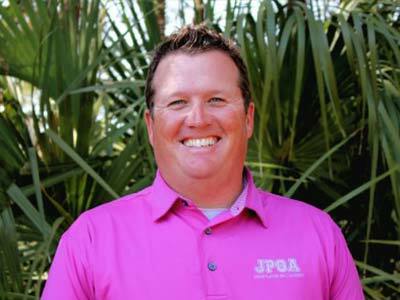 In 2009, Adam decided to join the JPGA team and use his vast playing experience to help junior golfers become better players. He incorporates this background in his teaching by helping students understand their own game on and off the course and to know their own tendencies. Adam believes that a great short-game and good course management are a must to shoot the lowest possible score on any given day. "I believe junior golfers get too wrapped up in trying to find the perfect swing instead of learning how to play golf." RJ Schebel studied Sports Management and joined the golf team at Bethel University in his hometown of South Bend, IN. In 2009, RJ moved to Hilton Head Island, SC where he attended the Professional Golfers Career College. 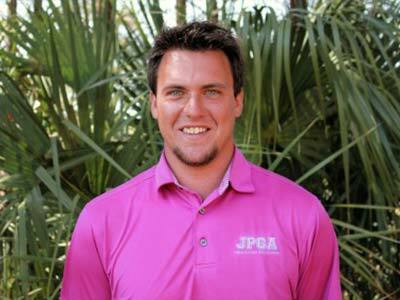 He graduated in 2011 with a degree in Professional Golf Management and joined the JPGA immediately after graduation. RJ brings his college golf playing experience, a younger personality, and passion for golf to help junior golfers achieve their goals. 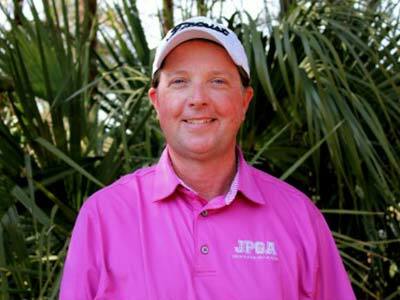 Brett Toon brings 22 years of coaching experience to the JPGA. Growing up in Louisville, Kentucky, Brett excelled in basketball and baseball and began playing golf with his grandfather at twelve years of age. Even while playing basketball at Benedictine College, Brett still enjoyed golf at the club level. Brett moved to Hilton Head Island in the early 1990's and began working at The Island Golf School at its inception. As Director of Instruction for multi-day golf programs for groups from across the globe, Brett developed his teaching through a patient and caring set of skills. This is where Brett and Keith Bach first became friends and colleagues. Brett served as Director of Instruction for the United States Schools of Golf at The Admiral Lehigh Golf resort in Ft. Myers, Florida in the winters while spending the summers as Head Teaching Professional at Lake St. Catherine Country Club in New England. Over the last ten years, Brett has been on the staff of the Future Collegians World Tour working as a rules official and assistant tournament director. Brett has played golf in both the New England and Carolinas PGA section events. 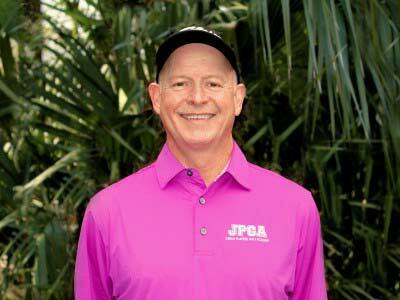 "I enjoy working with the JPGA; it's awesome to see the kids grow both on and off the golf course." 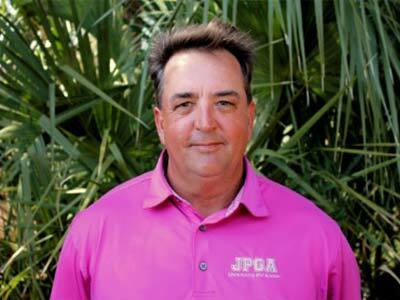 Joe Brazil is a Class AA PGA Professional from Great Britain with over twenty four years experience in the golf industry, with roles encompassing Director of Golf, Director of Instruction and Lead instructor at the World's largest Golf Club at Mission Hills in China. Joe has coached golfers of all abilities at the highest level across three continents around the World. Joe learned to play and essentially teach others by the late Bernard Hunt MBE who was twice a Ryder Cup Captain and an eight time player for the European Team and Joe credits him for all the opportunities and successes he has achieved in his Illustrious career so far. Unlike most young Professional's, Joe started out by learning how to teach Tour Players instead of beginners working alongside European Tour coach Gary Smith at Camberley Heath GC. He had the privilege to work with players like Justin Rose, Danny Willett, Ross Fisher , Wayne Riley & Chris Wood to name a few. Joe was elected in 1998 as a member of The Professional Golfers Association, a few years later Joe competed on the Great Britain PGA, Futures and Euro Pro Tour circuits before turning his attention to what he feels was his calling in life, helping others as a Golf Coach. Just had my first lesson with Adam as my coach. He was OUTSTANDING! Although I am not a young student, I can see how the philosophy and business practices of this academy is second to none in the industry. I would highly recommend this program to all families. Great organization!, look forward to each post and i see potential that all these young ladies and gentlemen have to go on and make it into the "Big Time"
Excellent! My son "Karl Vilips" is a student at JPGA and he develops his skill in golf very fast and good. Very improvement!